Yeah, but: Solid but unsexy. 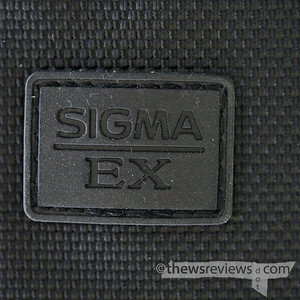 Counter Opinion: I'm looking for a sharp short telephoto, and the Sigma 70mm f/2.8 Macro is one that I've heard good things about. While I'm predisposed to the Nikon 60/2.8G – despite, not because of, having previously owned both the 150mm and 180mm Sigma macros – I decided to try the 70mm out in order to know more about my options. Physically the 70/2.8 is substantial and well-built, justifying why Sigma EX lenses come with a decade-long warranty in Canada. The lens is all metal with the dark grey crinkle finish that looks great on its own, but always seems a little out of place when it's on a smooth black camera. The screw-on hood is metal, and works as the worlds' longest step-up ring by being threaded for 77mm filters on the front. Very clever. The design of the 70/2.8EX Macro is something of a throwback; it feels older than the 2006 vintage that it is. It lacks Sigma's HSM motor, which means that the narrow focusing ring rotates during AF operation, and the Nikon model depends on the camera's screw-drive. I prefer this to the motor that Sigma puts in the Canon version, but it's a real problem for the little Nikon cameras, which are limited to manual focus. But what a manual focus it is – the ring has about a 270 degree throw, which is a vastly different experience from the measly 90 degrees of most quick-action AF lenses. While focusing still isn't speedy, the powerful motors in top-end Nikons don't leave much to apologize for. Subjectively, I'd say that it's a bit faster on my D800 than my 50/1.4G in the normal range – not much to boast about – and about the same as my 105/2.8VR for macro focus. The Sigma also has an excellent limiter that keeps the lens in whichever half of the range it's already in when it's enabled. This is much easier to use that the fiddly three-position switch on the 105VR, and infinitely better than the 60/2.8G's complete absence of one. Like three of the eight Micro lenses in Nikon's current catalog, the Sigma 70mm macro doesn't use internal focusing. 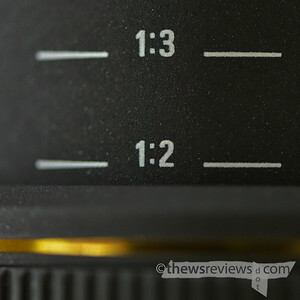 The inner barrel extends quite substantially toward the minimum focusing distance, and there's a reproduction scale marked on its top. The second lens I ever owned also did that – the Olympus 35mm Macro, which is a 70mm equivalent – but it still takes a mental adjustment and feels like a negative. The upside is that there's no bellows effect: the 70/2.8EX keeps its f/2.8 aperture all the way down to its maximum 1:1 reproduction ratio. But despite having so many other classic attributes – being polite – the Siggy 70/2.8 lacks an aperture ring. This lens could have been perfect for mirrorless cameras, and with a Nikkor "G"-compatible adapter it can still work, but naturally my Voigtlander F-to-M4/3 mount doesn't have an aperture control. Ah, well. But the best part of the 70/2.8EX is the optics: it's subtly but distinctly sharper than the Nikon 60mm f/2.8G lens that I've put it up against, which is frequently called one of the sharpest lenses that Nikon makes. With proper technique and processing, the Nikon 60/2.8G is sharp enough to make my quickly-handled 50/1.4G look broken; when a Sigma lens can beat that, I have to sit up and take notice. While I'm not completely convinced that it will find a place on my D800, don't be surprised if I write a long-form review of it in the future.